Jams that won’t set are ….mere vestiges of the past. 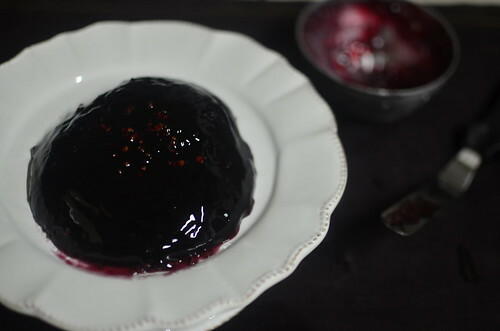 This Zobo Jelly is an example in point. I went back to the drawing board and ended up with something that was and is worthy of any table. I made sure to omit every trace of pineapple in the recipe concept and execution. And I ended up with a ‘sauce’ that is the epitome of all I love in condiments – sweet, sour, hot and tasty. 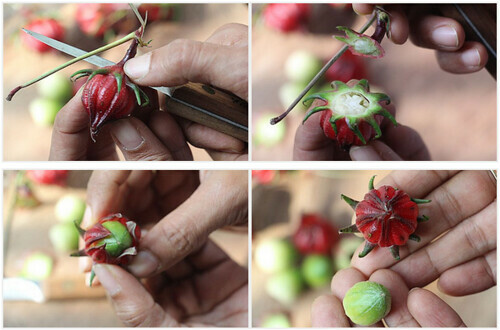 The idea to make this jelly however began with my friend, Deepa of Paticheri. 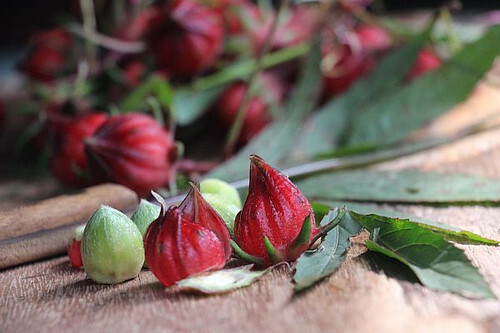 Earlier in the year, she’d made a version of the fresh Hibiscus calyxes. I was in awe. 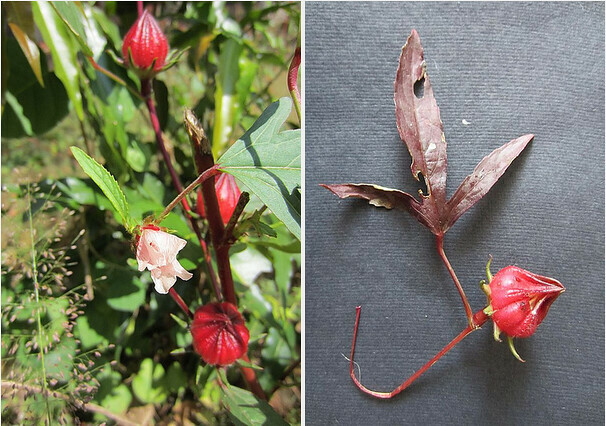 First of all, that was the first time I’d seen the source of the ‘Zobo’ flowers – what they looked like…. ….but also because of how wonderful the resulting jam sounded. Delicious. That is. And she graciously has given me permission to use some of her photos – Thank you Deepa. 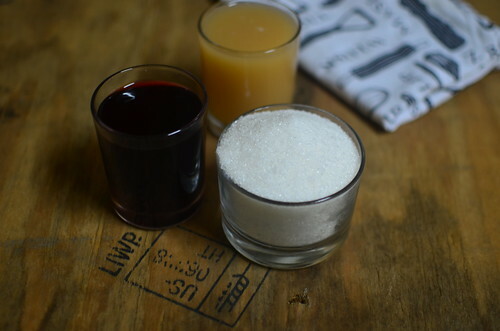 Ensure your Zobo liquid does not contain any pineapple peel or the jelly will not set. I learnt the hard way! In a large pot or pan, combine all the ingredients. Set on medium heat and allow to cook for 30 – 40 minutes, till the liquid is reduced, and syrupy. 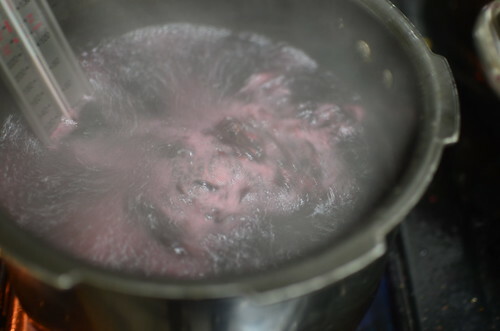 While the liquid is reducing, prepare your jars by washing in hot water and ‘sterilising’, either by gently heating in a warm oven, or by gently boiling in a pot of water – ensuring the jars are fully submerged, for about 10 minutes. Prepare your wrinkle-test plates: put small plates/saucers in the deep freezer – this will allow you test the ‘set’ of the jelly once it’s cooked. Once the jelly is ‘ready’, turn off the heat and begin your test by spooning a couple of tablespoons or so of liquid onto a ‘cold’ saucer. Leave it to rest for a minute or or so. It’ll cool down a bit. Then gently poke it. Does it wrinkle? Yes. Your jelly is ready. Does it wrinkle? No. Your jelly is not ready. Cook for an additional 5 – 7 minutes, repeating wrinkle test till it is ready. 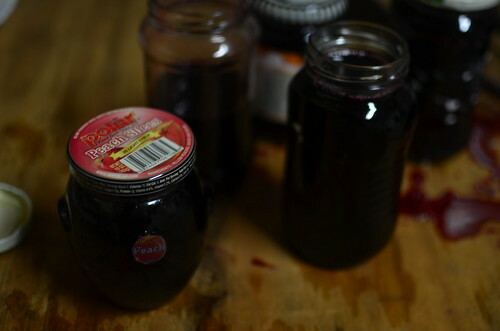 Once ready, allow to cool slightly, about 5 – 10 minutes then pour into (warm) jars, seal and allow to cool completely. Serve with meats and ssauces. 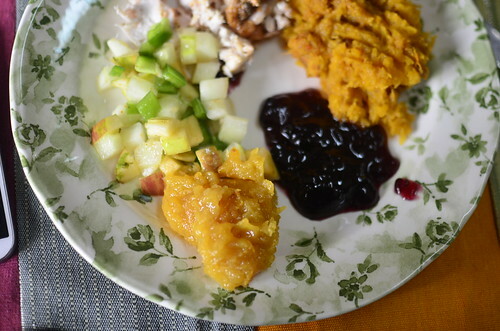 On Thanksgiving Day. For Christmas Lundin. The choice again? 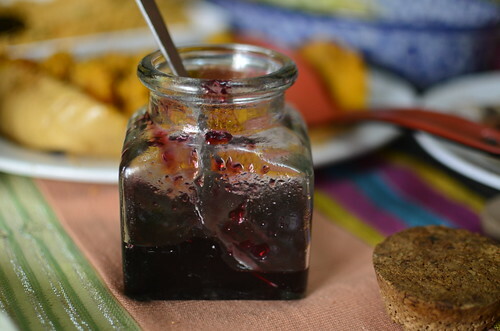 What would you like to have the Zobo Jelly with?